A Wrexham night-life scheme designed to keep staff and customers safe – and celebrate excellence in the industry – has won a national award. 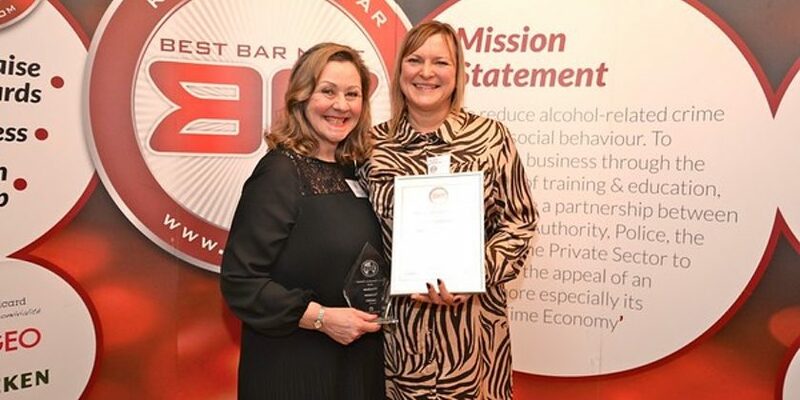 Wrexham Best Bar None was named the most innovative scheme of 2018 at the National Best Bar None Awards, which took place at at a special parliamentary reception the House of Lords last week. Backed by the Home Office, Best Bar None has been working collaboratively with the alcohol industry, local authorities and the police for over 15 years. It promotes responsible drinking and higher professional licensing standards in bars, pubs, hotels, clubs and entertainment venues in over 70 towns and cities across the UK. The aim is to reduce alcohol-related crime and disorder by building stronger links between the licensed trade, police and local councils – so they can share knowledge, ideas and good practice. Businesses have to meet minimum standards to be recognised by the scheme, including a ‘rigorous’ audit of over 120 criteria – covering everything from responsible management to customer care. Wrexham’s Best Bar None scheme was launched in 2013 and is supported by Wrexham Council, North Wales Police Service and North Wales Fire and Rescue Service. The scheme has committed to delivering a number of different initiatives to tackle ‘pre-drinking’, drug dealing and child exploitation. The judges were impressed by the scheme’s participation in STAD in Europe (SiE), which aims to reduce binge drinking and associated harms in young people. With a specific focus on addressing preloading, Wrexham awards Best Bar None credits to encourage licensees to deliver the ‘Drink Less, Enjoy More’ (DLEM) initiative, aimed at reducing the propensity for bar staff to serve people who are drunk. 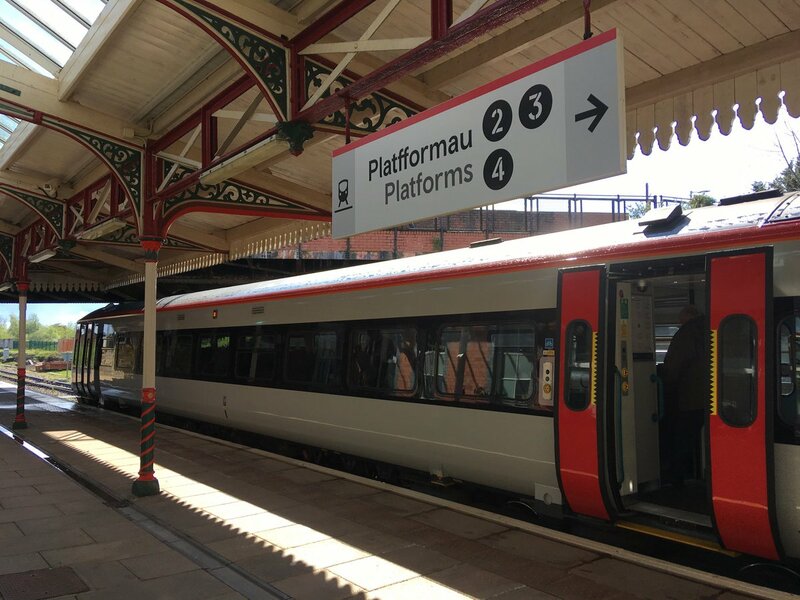 Judges gave Wrexham particular praise for the strong partnership between the council, North Wales Police, North Wales Fire Service, licensees and security – working together to deliver results with very limited resources. Coordinator for the Wrexham scheme, Alison Watkin, picked up the trophy, certificate and £1,000 prize fund, from chairman of Best Bar None, Lord Smith of Hindhead, and Guy Mason, Head of Public Affairs, Heineken UK. Cllr Mark Pritchard, Leader of the Council said: “It is great to see that of the 75 towns and cities in the UK who have adopted the Best Bar None scheme, Wrexham has been recognised as “Best Bar None Most Innovative Scheme 2018. Chief Inspector Mark Williams said: “I am really pleased to hear that the Wrexham Best Bar None Scheme has been recognised for its innovative approach. “The partnership between the licencing authorities, the emergency services and the licensees in Wrexham has gone from strength to strength over the years. Commenting on the award, National Coordinator for Best Bar None, Mick McDonnell, said “Wrexham’s focus on public health is commendable”. He added: “They have introduced thorough training for licensees, which highlights the legalities of serving alcohol to people when drunk, as well as addressing issues of vulnerability and customer safety.